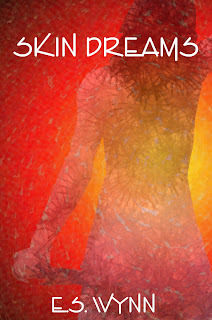 My latest book, Skin Dreams, is now available in print and in electronic formats through Thunderune Publishing! Check it out and tell your friends! Also, as a special, introductory offer, Skin Dreams is available now for 25% off the full purchase price when you buy it in paperback! Taersa is a young skinwalker, endlessly curious about her world and the layers of reality that lay beyond. To her, gods are little more than the fantasies of a dead race, the notion of spirit something spoken of, something never felt. Meeting Kynera changes all that, and as Taersa falls deeply in love with him, she finds herself pulled into a war between the forces of spirit that threatens to tear apart the very fabric of reality. Only by embarking together on a perilous journey to save reality itself can they hope to secure a future for their people in a haunting, dream-like world where mankind is only a memory, a forgotten sensation lingering in the skins of those left behind.